iBeacon uses smartphone’s precise location for navigation within the confined spaces, based on Bluetooth Low Energy (BLE). Nearables describes the idea of smart objects. None of these are real examples of Internet of Things (IoT) but these are very basic smart objects. iBeacon and Nearables are two different words with specific meaning, we included together because the first basically falls in the later group. Nearables are not devices themselves. Any object can become a nearable if a wireless sensor is attached to it and it can start broadcasting data. The method is derived from iOS7 and currently Android version 4.3+ supports it and can thus from the iPhone 4S, iPad (third generation), iPod Touch (fifth generation) and current Android devices can detect iBeacon. iBeacon is not exactly a brand name in that sense. There are lot of Business to Business and Business to Consumer companies are delivering iBeacon now. iBeacon is based on a transmitter-receiver-principle. These small transmitters (beacons) are placed as a signal generator in space, which send signals at fixed time intervals. If a receiver – for example, a smartphone with an installed Mobile app is configured to receive signals iBeacon – in the range of a transmitter, which can be used for identifying the sender identified and its signal strength will be measured. In funny words, it is kind of mini-scale opt-in “good” version of PRISM. To determine a location in a three dimensional space four beacons are required. 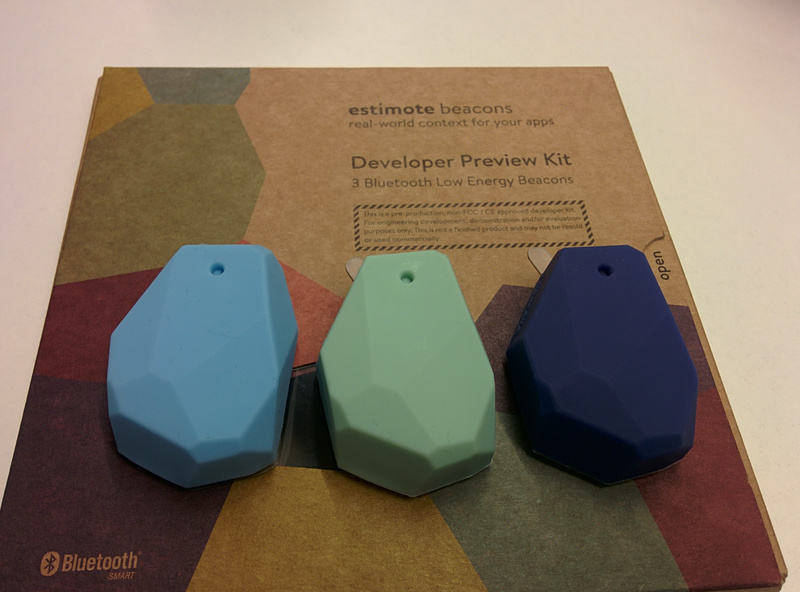 iBeacons themselves can not send push notifications to the receivers, collect or store user data. They can only send information to their own identity (the values ‹are ‹UUID). The data transfer uses Bluetooth Low Energy (BLE) technology, which works extremely energy efficient introduced by Nokia back in 2006. Since, this the batteries must be replaced only very rarely in the modules, the technology is also very popular in devices such as Smart Watches and gamepads. In addition, location specific information is displayed on the smartphone. iBeacon modules achieve a range of up to 30 meters and are characterized by low power consumption. Depending on the signal strength of the measured distance to iBeacon now divided into four categories – Unknown (unknown range), Immediate (up to 50 cm) Near (up to 2 m) or Far (up to 30 m). iBeacon supporters describes it as a new layer of user interaction, the word Layer must not be confused with Layer of OSI Model. They possibly want to use the word – “method” or “way”. A number of services are available Based on iBeacon, these range from targeted insertion of product information at the point of sale (POS) on special offers, control of tourist routes while entering a business unit to mobile shopping in retail stores. In addition, a detailed analysis of consumer behavior in retail can be done. In educational institutions; iBeacon can be used, for example to provide lecture materials in a specific lecture hall on campus or to control the presence in the classroom. The division of a classroom in thematically different areas of learning should be possible. Over 20 sport grounds now has iBeacons installed for the visitors to help in navigation in the stadium. In the museum, additional information, an interview with the artist etc. can be delivered. If you are using an App specific to a Store’s iBeacon, you are virtually opting out of privacy. The App can tell the location in 3 dimensional place and can also send the information to a server, the server can save the data in plain CSV format in a CDN. This means the companies can capture more data which is great for advertisements but bad for Privacy. This Article Has Been Shared 9465 Times! Cite this article as: Abhishek Ghosh, "iBeacon and Nearables : Basics," in The Customize Windows, April 11, 2015, April 23, 2019, https://thecustomizewindows.com/2015/04/ibeacon-and-nearables-basics/.